The 40 miles of the Occoquan Water Trail is only 20 miles southwest of Washington, DC. Discover ancient hemlock groves, granite cliffs, Civil War sites, and wildlife sanctuaries. Location: Bull Run and the Occoquan & Potomac Rivers, Follows Occoquan River from Bull Run Reg. 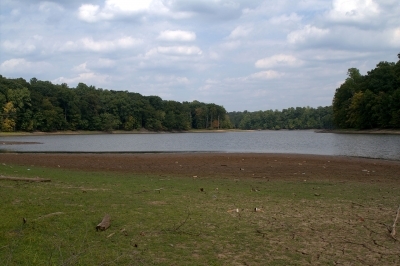 Park (south of I-66) downstream past Bull Run Marina and Fountainhead Regional Park to Occoquan Bay. Follows Occoquan R from Bull Run Reg. Park (S of I-66) downstream past Bull Run Marina and Fountainhead Reg. Park to Occoquan Bay. Be aware of restricted area and dam just N of the town of Occoquan. From its beginnings on Bull Run- a narrow, fresh water tributary of the Occoquan River- to the broad tidal estuaries of Pohick Bay on the Potomac River, the Occoquan Water Trail offers an unparalleled opportunity for boating adventure and exploration of the two physiographic provinces it traverses through northern Virginia. 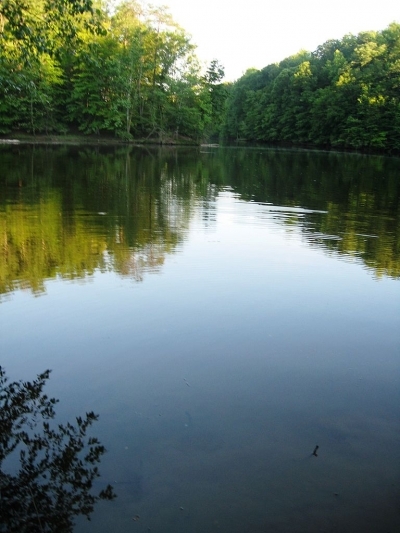 A member of the Chesapeake Bay Gateway Network, the Occoquan Water Trail was developed in partnership with Federal, state and local public land managing agencies, watershed stewardship organizations and recreational paddlers. 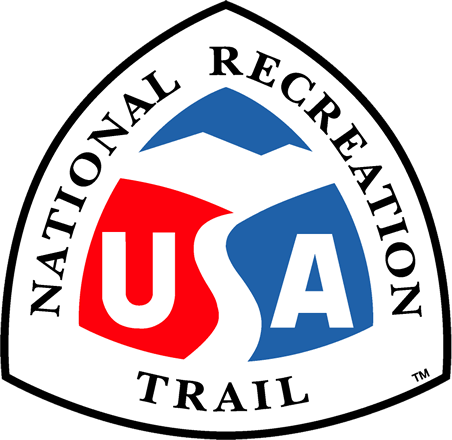 The trail links to five other Gateways including: Mason Neck State Park, three refuges of the Potomac River National Wildlife Refuge Complex and the Potomac River Water Trail, a designated National Recreation Trail. Approximately 20 miles outside Washington D.C., the trail lies within the waters of Virginia, on the jurisdictional boundaries of Fairfax and Prince William Counties and the Potomac River. The upper segment mirrors the 17.5-mile Bull Run-Occoquan Trail on the Occoquan Reservoir shoreline. Shared trailheads at four Regional Parks accessing the reservoir invite visitors to discover ancient hemlock groves, granite cliffs and ponder Civil War conflicts and relic structures nearby. Below the 72 foot dam of the reservoir and rocky Fall Line of the Occoquan River, the historic port Town of Occoquan resides. Beyond the town, the lower segment of the Occoquan Water Trail resumes at the site of the former Occoquan Workhouse piers and brickyard, at which imprisoned women suffragists were held in the 1900s. As the Occoquan River joins the Potomac River, shallow Belmont Bay enshrouds remnant Paleo-Indian and Native American settlements established on Mason Neck Peninsula prior to its ownership by George Mason, an author of the US Bill of Rights. Championed by local conservationists, much of the peninsula today is managed cooperatively for wildlife conservation, natural area protection and recreation by the Mason Neck National Wildlife Refuge, Mason Neck State Park, Pohick Bay Regional Park, Meadowood Special Recreation Area and historic Gunston Hall Plantation. The Occoquan Water Trail Map and Guide, interpretive exhibits and orientation signs, developed with the assistance of the Chesapeake Bay Gateways Network, highlight recreational opportunities and promote stewardship of the outstanding natural and cultural heritage resources associated with this waterway and the surrounding landscape. Inlet on the Occoquan River. Photo by Idawriter. Occoquan River near Fountainhead Regional Park. Photo by Aneta Kaluzna.